Get all your engraving supplies from one, dependable source. Scott Machine gives you all kinds of choices for quality performance, from etch to etch. Our Scott Signgraving® materials are available with micro-thin surfaces, matte finishes, smooth or textured surfaces, in brushed metallics, wood grains and a variety of eye-catching custom colors. You'll find a wide selection of Scott Sign-Mate sign holders, in 11 sizes and five attractive colors, to hold your finished signs in style. Traditional sign holders are offered in handsome wood and contemporary metal for wall or desk mounting. Need name tags or components for making your own tags? Just name it...we probably have it! We can even supply custom logos on the tags so all you have to do is engrave the name itself. It's all here...legend plates in standard sizes or cut to your specifications, precision beveling machines to accentuate your finished sign, scoring devices for cutting your engraving material to any size you need, plus a full range of ADA sign materials and much more. 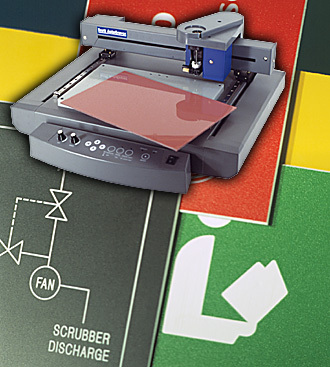 Scott Machine is your one-stop shop, with everything you need to make your signs the easy, professional way.